Today we have our first mail-in real man of BAMFness. Today’s BAMF comes courtesy of Adam Campbell, who I first met back when he was a triathlete. He’s now a crazy mountain runner. One of my first memories of Victoria was dueling in the pool with Adam, who can’t even really swim anymore. Anyway, enough about Adam, since he is only the nominator of today’s BAMF. Thanks Adam, now go eat something. Today’s Real Man of BAMFness is mountain runner Rickey Gates. Now, in some ways, just being a dude that runs mountains probably is enough to make you a BAMF. No, not you Dean Karnazes. You are too slow. Just because you are a runner, it doesn’t mean that when you move forward in some form of locomotion that you are running. I hate how Dean Karnazes says it is running when he’s going 16-minute miles holding a pizza and a large cheesecake. That is impressive in a weird way, but it ain’t running. 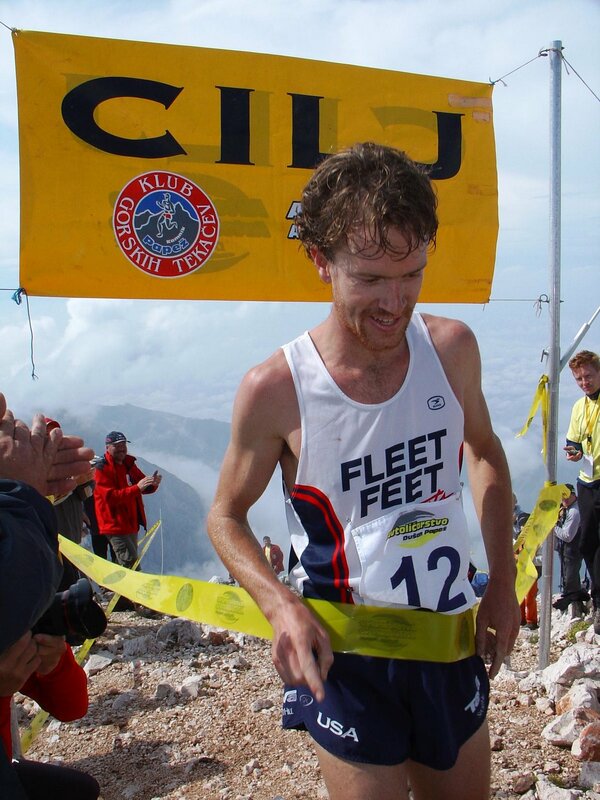 Scott Jurek is a BAMF, but not you Dean, if only because you are so ridiculous. But again, I digress. No, these mountain runners really run. Fast. In our BAMF’s latest entry on his blog Mostly Paved, Rickey talks about having to descend 6,000 feet down a mountain, after having just run up it. And being hungover. It’s good to celebrate your BAMFness. If you run up mountains, you are a BAMF (but only if it is fast, Dean). If you live in a van in the mountains (or down by the river), you are a BAMF (and maybe – probably – also a bit of a redneck, or a hippie if it’s a VW, which Rickey’s is). then you are a BAMF. RG, you are a BAMF.